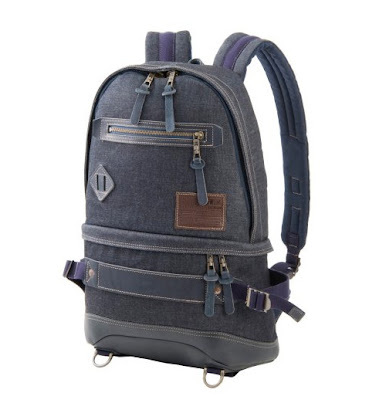 When I stumbled on this Edwin and Master piece raw denim backpack last week - I was stoked! I've been looking to step up my backpack game (nothing against the SUPREME bag I've been wearing out the last few years, or the Stussy joint I've had since '96, I just felt like it was time for something a little more classy). Looks like this is a Japan only release - and its already sold out at the Edwin online store, so if anyone has an inside track to purchase this - hit me on Twitter. Check out other pieces from the collection over at High Snobiety.